You are happy and content in your professional and personal life and feel you are ready to take the next step and become parents? Congratulations, you are now about to make one of the most life-changing and important decisions in your lives as a couple. But, take a moment and think, are you really prepared? Are you physically and emotionally fit to take the responsibility? Are you spiritually in a good place to be the protector and caretaker of a new life? Well, we give you some of the answers and help you make an informed decision. You would’ve heard that everything changes once you become a parent? Well, it’s true and this will be one of the most important steps that you take in your life. Life and the concept of time will entirely change for you as an individual and as a couple. So, you need to talk to your partner about everything that worries you before you take that step. Here’s a checklist that can help you determine whether you are ready to become a parent. Whether you choose to be a stay-at-home parent or a working one, your career will be affected once you have a child. If you are a working parent, you’d have to give equal time to home and office and be prepared to take leaves. Infants fall sick frequently as they have low immunity and if you live in a nuclear setup, you will need to talk to your partner and your employer on how you will handle emergencies. For mothers who take a career break, know that it’ll be difficult to get back to work when you feel ready. Many employers don’t view a break favorably and offer less pay because of that. Also, getting back to work full-time will involve a significant change in your and your baby’s life and you may have to make some tough calls. In all the planning and preparing for a baby, one thing that often gets neglected is your relationship as a couple. And once a baby arrives, it becomes even more difficult to nurture that relationship as a baby takes all the time and the attention a parent can give. However, this is one aspect that should not be ignored as a happy mother makes a happy baby. Before the baby arrives, take a vacation just for the two of you and talk about your dreams and goals for the baby. Once the baby arrives and whenever you feel up to it (it could take some time), set up date nights, even if that involves grabbing some popcorn and watching a movie together. This is one of the most important aspects, as you would have figured out already. The universal truth is babies cost money – a lot of it. According to a report, raising a baby in the first year itself can cost you considerable sum taking into account the hospital bills, vaccinations, baby equipment, baby feeding and bathing needs, clothes, diapers etc. So, you have to know you and your partner are in a good place financially to provide for your child. As the child grows up, you’ll also have to think of schools and school fees. So it is advisable that at least one of you has a stable income to meet the child’s as well as the regular family needs. Also, invest in medical insurance and have some savings for emergencies, before you decide to have a child. They say, it takes a village to raise a child and it’s true. However, today, with more and more families having a nuclear setup, it’s not always possible to fall back on your family for support. But you’d still need the help, so you need to come up with a plan or rather build a circle of trust. Whether you hire help or rely on friends/ neighbors for support in times of emergencies, is a decision you have to make as a couple. Talk to your family and friends and work out different scenarios to see how you’ll manage if the need arises. Also, make a list of emergency contacts and tell them about it, so they are prepared. Before you decide to become parents it’s very important to see how you see yourself and your partner as a parent. It’s a shared responsibility and there are bound to be areas of conflict when it comes to your perception of how best to raise your child. Be it in terms of education, healthcare, religion, etiquette or simply how much TV a child is allowed, you need to lay down all your cards on the table so you get as real a picture as possible. Many mothers often complain that fathers don’t give sufficient time to their child, while the dads feel weighed down trying to balance work, home, and kids. Talk about it and have a plan. Feeling overwhelmed as new parents is normal but having a plan to fall back on when emotions are running high is a good thing. Now that you’ve decided that emotionally you are in a good place and are eager to start a family, check your physical health to know how to fit you are, so you can give your child the best start. There are many viruses, like chickenpox or the rubella virus, which can affect the mother and the unborn child severely, at times, leading to birth defects or miscarriages. So, before you conceive you need to know how vulnerable you are and get adequate protection beforehand. Talk to your doctor about all the vaccinations you need to get before you get pregnant. Many hereditary illnesses as well as lifestyle-related diseases cause complications during pregnancy and can affect the development of the fetus. For you to know what tests you and your partner need to get done, talk to your physician. Getting to know your issues and learning how to manage your illnesses will help you not only during pregnancy but also will enable you to make more informed choices later in life. When you are pregnant, your doctor would prescribe a set of vitamins and minerals you need to take for a healthy pregnancy. However, some vitamins like Vitamin C, B12, and Folic acid have been proven to increase fertility in both men and women, thereby improving your chances of conception. Eat fruits, vegetables, and proteins rich in these nutrients to stay fit and enable a healthy pregnancy. If you and/or your partner smoke and/or drink, you need to make a decision now. Tobacco and alcohol not only affect your unborn child but also reduces your chances of getting pregnant. Alcohol has been found to affect fertility in both women and men. And according to a study, smoking increases the risk of infertility in women. You can prepare the body and the mind for the birth of a child but if your environment is not conducive to conception, it can hamper your chances of getting pregnant. If you are leading a stressful life or are stressed over getting pregnant, it can affect your fertility. Research has proved that stress reduces the probability of conception as the body produces the cortisol hormone when it is stressed, which negatively affects the fertility of women. In Ayurveda, it is believed that you need to cleanse your body of all the doshas, like negative emotions (anger, stress) and toxins (alcohol, drugs, and tobacco) to prepare the ideal environment for conception. To achieve an enhanced state of fertility and prepare your body, mind, and soul for the birth of a new life, you can go for an Ayurvedic cleansing which includes emotional, physical and spiritual treatments. Consult an established Ayurveda practitioner to know more. For couples who have been trying to have a baby for some time, stress becomes an undeniable aspect of attempts at conception. And this is where meditation comes into play. 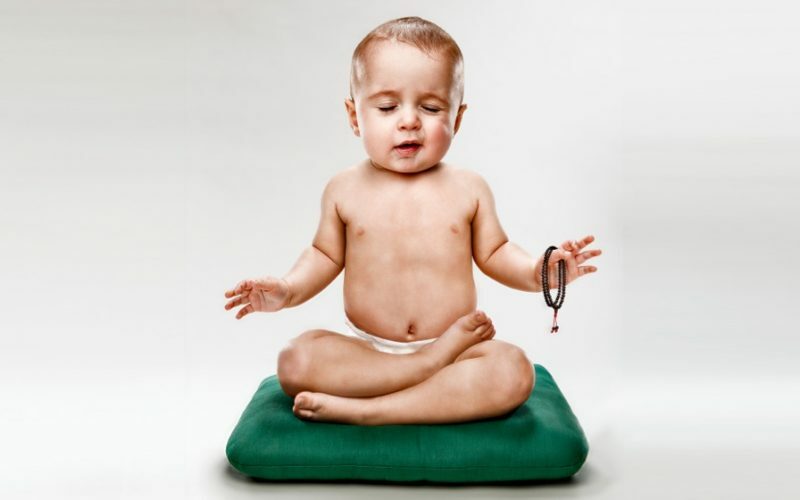 Meditation not only reduces the stress hormone called cortisol but also decreases the insulin resistance of the body and improves the hormonal balance of the body that is conducive to conception. If you are not sure how to begin, consult an expert. There are also free online resources on progressive relaxation you can try out. While there are still no proven theories on how yoga increases fertility, it is well known that yoga helps in proper blood circulation; helps reduce stress and reduces body weight. And all these factors aid in conception. Some of the asanas prescribed to enhance fertility in women are Paschimottanasana, Hastapadasana, Janu Shirasasana, Baddha Konasana, Viparita Karani and Shavasana.